There is likely no bigger accomplishment in medicine and public health that has saved so many lives and prevented so much misery over the decades as the introduction of vaccines. The World Health Organization (WHO) defines vaccine as follows: a biological preparation that improves immunity to a particular disease. A vaccine typically contains an agent that resembles a disease-causing microorganism, and is often made from weakened or killed forms of the microbe, its toxins or one of its surface proteins. The agent stimulates the body’s immune system to recognize the agent as foreign, destroy it, and “remember” it, so that the immune system can more easily recognize and destroy any of these microorganisms that it later encounters. Below are five communicable diseases that were once rampant in the United States until the introduction of a vaccine against that particular disease. Let’s look at these five diseases–then and now. The first measles vaccine was licensed for use in the US in 1963. An average of 549,000 measles cases and 495 measles deaths were reported annually in the decade prior to the live measles vaccine. In 1989, a second-dose vaccination schedule was recommended by the Advisory Committee on Immunization Practices (ACIP), the American Academy of Pediatrics (AAP) and the American Academy of Family Physicians (AAFP). 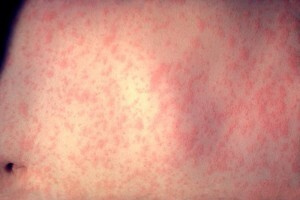 By 2000, endemic measles was declared “eliminated” from the United States. According to the Centers for Disease Control and Prevention (CDC), from 2001-2011, 911 measles cases were reported. The median number of measles cases reported per year was 62 (range: 37-220 cases/year). The majority of measles cases were unvaccinated (65%) or had unknown vaccination status (20%). Of the 911 reported measles cases, 372 (40%) were importations (on average 34 importations/year), 239 (26%) were epidemiologically linked to these importations, 190 (21%) either had virologic evidence of importation or had been linked to those cases with virologic evidence of importation, and 110 (12%) had unknown source. The first 11 months of 2014 saw 610 measles cases in 24 states. The federal health agency notes that the majority of the people who got measles are unvaccinated and travelers continue to import measles into the country. 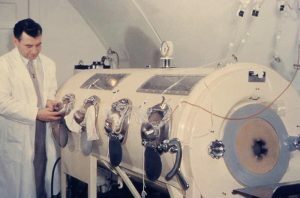 Before pertussis vaccines became widely available in the 1940s, about 200,000 children got sick with it each year in the US and about 9,000 died as a result of the infection. Now we see about 10,000–40,000 cases reported each year and unfortunately about 10–20 deaths, according to CDC numbers. Since the early 1980s, there has been an overall trend of an increase in reported pertussis cases. Pertussis is naturally cyclic in nature, with peaks in disease every 3-5 years. But for the past 20-30 years, we’ve seen the peaks getting higher and overall case counts going up. When it comes to waning immunity, it seems that the acellular pertussis vaccine (DTaP) we use now may not protect for as long as the whole cell vaccine (DTP) we used to use. Throughout the 1990s, the US switched from using DTP to using DTaP for infants and children. Whole cell vaccines are associated with higher rates of minor and temporary side effects such as fever and pain and swelling at the injection site. Rare but serious neurologic adverse reactions including chronic neurological problems rarely occurred among children who had recently received whole cell vaccines. While studies have had inconsistent results that the vaccine could cause chronic neurological problems, public concern in the US and other countries led to a concerted effort to develop a vaccine with improved safety. Due to these concerns, along with the availability of a safe and effective acellular vaccine, the US switched to acellular pertussis vaccines. The horrible disease, diphtheria, was once a major cause of illness and death in children. The U.S. recorded 206,000 cases of diphtheria in 1921, resulting in 15,520 deaths. Before there was treatment (diphtheria antitoxin and antibiotics) for diphtheria, up to half of the people who got the disease died from it. In the past decade, there were less than five cases of diphtheria in the U.S. reported to CDC. However, since the disease is still seen in many countries around the world, maintaining vaccination status is key when traveling abroad (for diphtheria and other vaccine preventable diseases). Polio is a disease that struck fear into the hearts of Americans just more than a half-century ago. Images of children in an “iron lung” or those with horrible defomities was enough to scare any parent. Polio also affected many famous Americans including actor Alan Alda, “Tarzan” Johnny Weissmuller and of course, former US President Franklin D Roosevelt. Author and professor Gareth Williams writes in his book, Paralyzed with Fear, In 1949, the US Surgeon General, Leonard Scheele warned that this would be the nation’s worst year yet for polio and that the future looked even grimmer. He was right on both counts: 1949 saw 42,000 Americans paralyzed and 2,700 deaths from polio, rising in 1952 to 58,000 paralyzed and 3,000 fatalities. Following introduction of vaccines—specifically, trivalent inactivated poliovirus vaccine (IPV) in 1955 and trivalent oral poliovirus vaccine (OPV) in 1963—the number of polio cases fell rapidly to less than 100 in the 1960s and fewer than 10 in the 1970s, according to the CDC. Polio has been eliminated from the United States thanks to widespread polio vaccination in this country. This means that there is no year-round transmission of poliovirus in the United States. Since 1979 no cases of polio have originated in the United States. Before the U.S. mumps vaccination program started in 1967, about 186,000 cases were reported each year. That has decreased some 99% since the introduction of vaccines. From January 1 to November 29, 2014, 1,078 people in the United States have been reported to have mumps. Despite the incredible numbers and success due to mumps vaccination, the CDC does acknowledge it’s shortcomings: Although the measles-mumps-rubella (MMR) vaccine is very effective, protection against mumps is not complete. Two doses of measles-mumps-rubella (MMR) vaccine are 88% effective at protecting against mumps; one dose is 78% effective. The numbers are remarkable and really speak for itself.